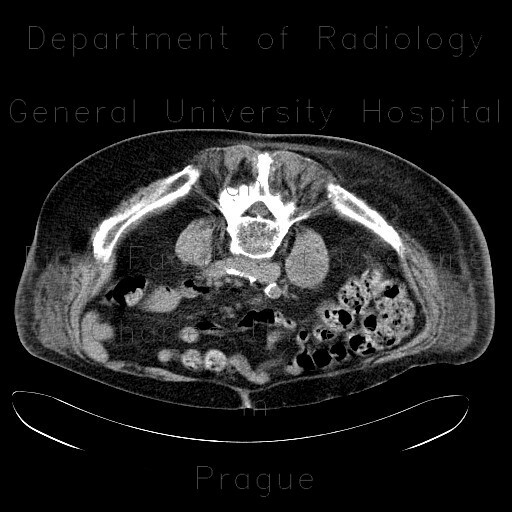 CT shows a fusiform cavity in the right psoas muscle. The cavity has well-defined wall and contains fluid (CT attenuation, high on T2, low on T1). The L2 and L3 intervertebral discs are replaced by fluid. The abscess was drained under CT guidance.